Thinking outside the box can significantly help to make your life a whole lot simpler, helping you to solve many irritating problems and get on with what you really enjoy. Here are 15 little tricks which we’re certain will be useful to absolutely everyone. 1. 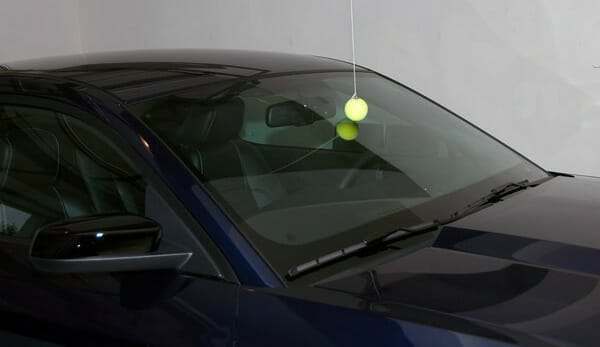 If you hang a tennis ball from the ceiling down to the level of your car’s wind shield, it will help you to park in the garage. Once your car is touching the ball by wind shield, you’re in exactly the right spot. 2. 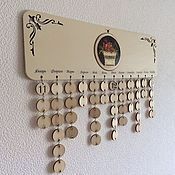 You can use this kind of family calendar to mark birthdays; this way you’ll never forget to congratulate relatives. 3. You can cut off the neck of the empty bottle and use it to seal packaging for such things as cereal or pasta. 4. You may use a clothes hanger to make a really useful holder for a cookbook. 5. You may use the bottom of a large plastic bottle to dilute or mix paint, whilst you can use the neck as a stand for the brush. 6. 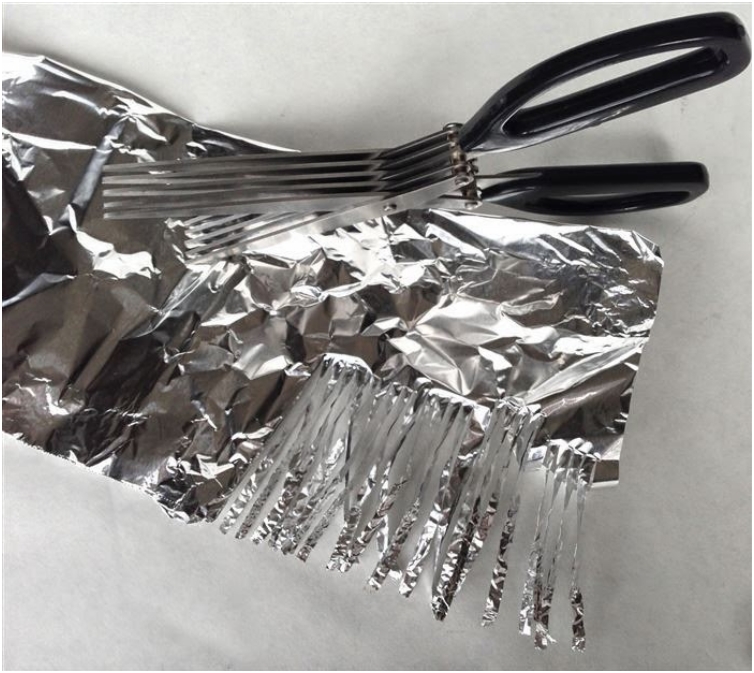 If you have no means of sharpening some scissors, just use them to cut some tin foil. Cut a couple of times and your scissors will be as sharp as when you bought them. 7. 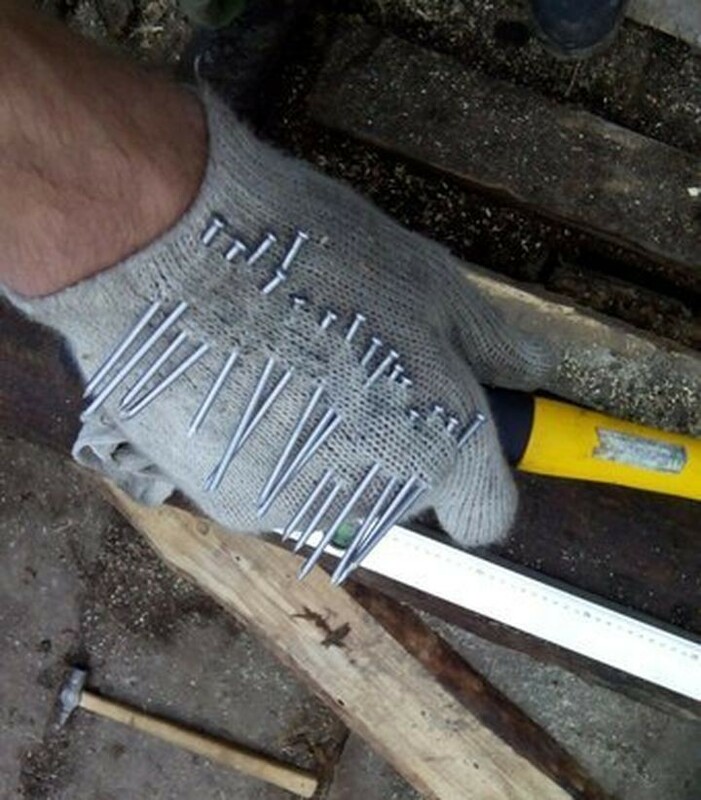 To make sure you don’t have to put any dirty nails in your mouth while you’re doing handiwork, thread them through your work gloves. 8. 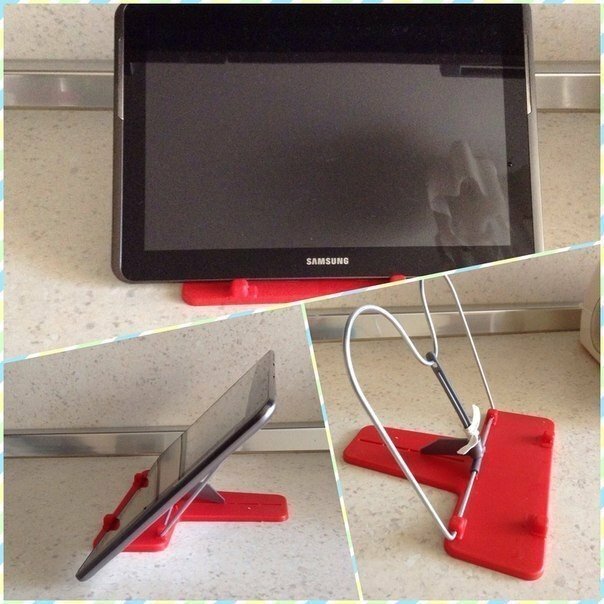 An old book stand can be used as a great stand for your tablet — there’s no need to waste money on the expensive official merchandise! 9. 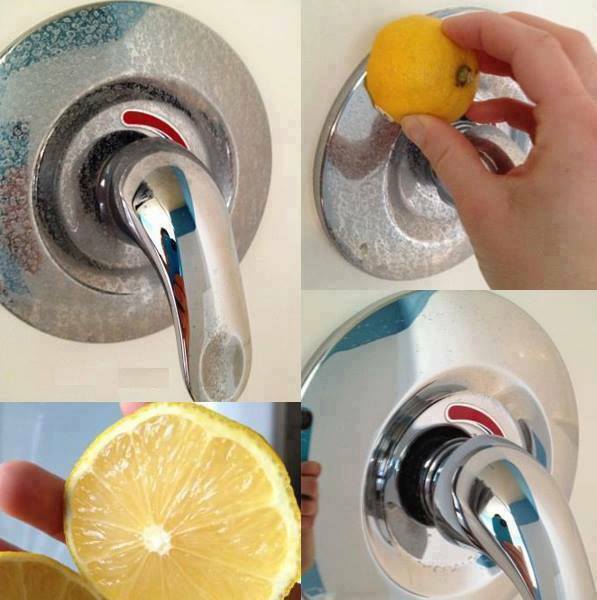 A lemon can be the perfect replacement for detergent. It’s safe and environmentally friendly. 10. 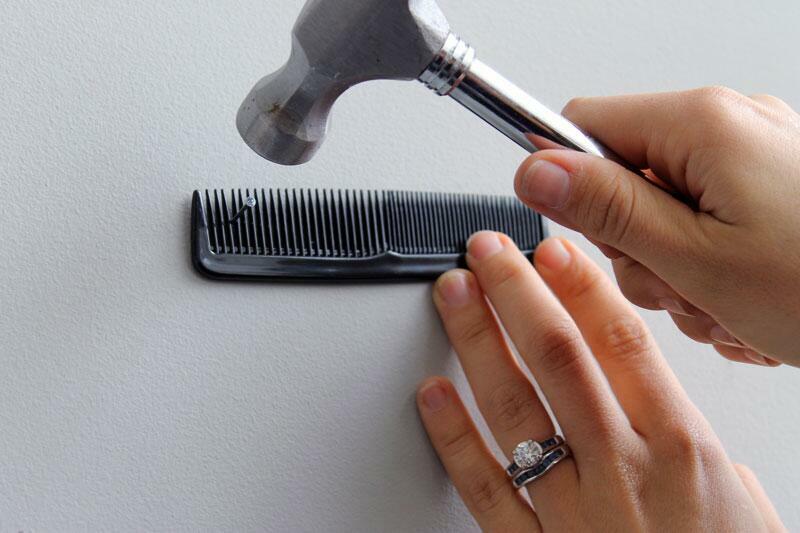 Use a comb to avoid catching your fingers when you hammer in a nail. 11. Try hanging some hooks on your shower curtain rail — they can be really useful as a way to have various items in reach for when you need them. 12. You can use the hook from an old seat belt to keep keys safe. 13. Use magnetic strips for tools — that way everything will be to hand when you need it. 14. You can use an old bottle of ketchup when you want to make pancakes — it’s much easier to put the right amount of mix in the pan. 15. To save your money from frauds, you can paint over the last four digits and put a sticker onto the security code. Some RFID cards can even be cut without losing their functionality. However, it’s still best not to damage your card.